Security video showed Daniel Mitchell of Fairfield drive into the parking lot at Sunset Shopping Center in Suisun City before 3:15 p.m. Monday, get out of his vehicle, take out a child’s car seat then set it down in the parking lot, get back into his car and drive off, officials said. Witnesses in a nearby barbershop saw the car seat and when they got closer, found the 16-day-old child inside and called Suisun City police, officials said. While officers there reviewed video of the abandonment and worked to identify the driver, Mitchell had gotten into a crash in nearby Fairfield and attempted to flee, leading police there to arrest him, authorities said. Mitchell was taken to the hospital because of the crash and while there, Suisun City police caught up to him and interviewed him about the baby, department officials said in a Facebook post. Following the interview, officers arrested Mitchell on suspicion of child endangerment, child abandonment, committing a felony while on bail and misdemeanor possession of a controlled substance. Police said he’d been arrested last month on suspicion of burglary and possessing a firearm, among other charges. 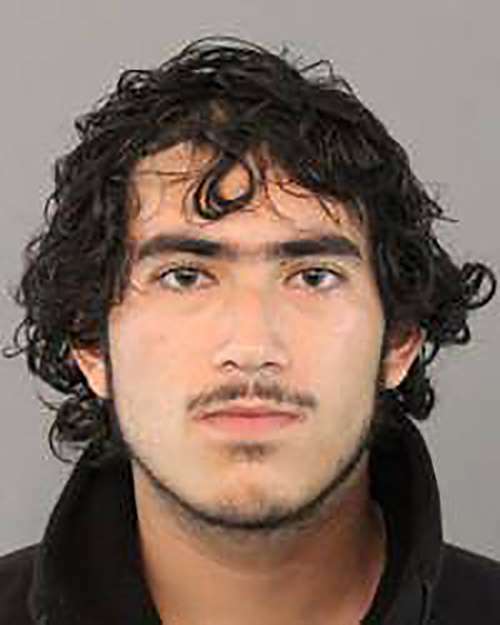 The child’s mother cooperated with police and is not believed to be a suspect, Suisun City officials said. The infant was given a medical checkup at a hospital that revealed the infant suffered from a condition that required specialized care. The baby was taken to another hospital for treatment, where he is listed in critical condition.